The Earth Dollar will be the world's first anti-inflationary asset-backed stablecoin and community currency, backed by 3.63 trillion CHF (Swiss Francs) (€3.22 trillion Euros) of Natural Capital Assets of the Earth, where our collective wealth can increase by protecting and restoring the Earth. 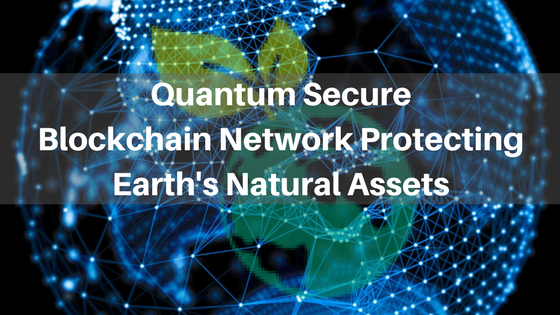 We have combined the Natural Capital Accounting System with a High-Speed & Quantum-Secured Blockchain to create a Living Economy, where you can create new wealth, prosperity and abundance by protecting and restoring the Earth. Earth Dollar intends to be the premier currency for those who want to “Do Well By Doing Good”. The Earth Dollar will be the world’s first anti-inflationary asset-backed stablecoin, backed by 3.63 trillion CHF (Swiss Francs) (€3.22 trillion Euros) of Natural Capital Assets of the Earth. Community Currencies, Stablecoins and Blockchain Technology, Solving Enhanced Sustainable Development Goals, and Implementation of the Natural Capital Accounting System. Earth Dollar supports the Enhanced Sustainable Development Goals, including overcoming poverty and creating a sustainable world. The Earth Dollar has upgraded the goals to reflect a thriving planet. Earth Dollar represents the largest deployment of natural capital assets on the blockchain. An initial estimate of 3.63T CHF (Swiss Francs) in assets is being used to back the value of the Earth Dollar. The Earth Dollar is anti-inflationary because we have incorporated an artificial intelligence controlled mechanism to ensure the Earth Dollar buying power remains constant when it hits the highest exchange value. We will utilize smart contracts on the blockchain to facilitate, verify, or enforce the negotiation and performance. Natural Capital Assets will be coded into smart contracts, to create Smart Asset Tokens to back the value of Earth Dollar. Earth Dollar will be one of the world’s first quantum-secured blockchains. It will be part of a massive decentralized network with no central servers, making it the most unhackable system known today. Earth Dollar’s support for People, Planet, Prosperity, Purpose and Philanthropy will make it the greatest asset-backed currency on Earth, designed to restore and preserve the planet. 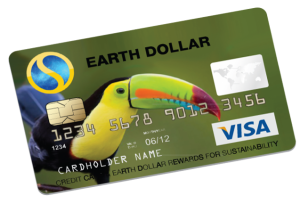 Earth Dollar Association members have access to EarthDollar ERC20 Tokens, for services like group insurance, debit cards, and project support. Dispute resolution is also facilitated for members. 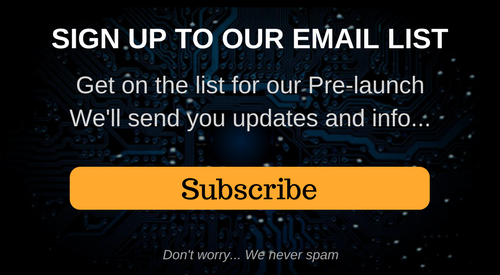 Membership is free with KYC/AML verification. Earth Dollar will be spendable in millions of locations worldwide. Signed agreements with debit card aggregators will make it all possible. Earth Dollar is a self-regulating currency protected by agreements with Indigenous Nations. It is expected to become the world’s first truly self-regulating blockchain that is governed by its own laws. The Earth Dollar has been adopted as the community currency of 7 indigenous nations and government districts. The Earth Dollar is a true alternative community currency. The Earth Dollar has the potential to add an estimated 6.5 million people onto the blockchain quickly because it will start off as the community currency of 7 Indigenous Nations and communities. Our debit card system is expected to support other cryptos such as Bitcoin, Ethereum, Dash, Ripple, Litecoin, Ethereum Classic, IOTA, Monero, Stratis, Zcash, Waves, national currencies, etc. The Earth Dollar system generates new wealth, prosperity and abundance by restoring the Earth. 2017 - Earth Dollar announced at the U.N. Begin development of models, tools, app, etc. Research finding right partners/technologies, etc. *Note: This is a Living Roadmap and the roadmap below is merely a snapshot of our initial plans. A Living Roadmap, also known as an evergreen document or dynamic document, is a document that is continually edited and updated. As a Living Roapmap we encourage open collaboration within the Earth Dollar Association to refine our plans. This Living Roadmap is expected to evolve through successive updates, be expanded as needed, and serve a different purpose over time. This Living Roapmap will change through revisions that may or may not reference previous iterative changes. We therefore reserve the full right to make any type of changes, modifications, additions, subtractions, and revisions to this Living Roapmap. EARTH DOLLAR WILL BE SPENDABLE IN MILLIONS OF LOCATIONS WORLDWIDE! Our global debit card system is expected to support other cryptos such as: Bitcoin, Ethereum, Dash, Ripple, Litecoin, NEM, Ethereum Classic, IOTA, Monero, Stratis, Zcash, Waves, Ark, NEO, OmiseGO, Bit-Connect, Lisk, Qtum, Stratis, Tether, Bytecoin, TenX, Hshare, Augur, Factom, Dogecoin, national currencies, and more. By monetizing and restoring the natural assets of the Earth, we can help overcome global poverty and create a sustainable world.